Electrostatic synthetic duster enables you to dust the home with far less effort. The duster's electrostatic fibres attract and remove dust with ease. Soft grip handle. 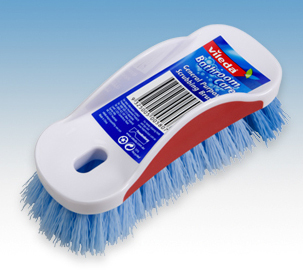 Vileda General Purpose Scrub Brush has strong nylon bristles for those tough tasks.Soft grip handle.